The Ministry of Corporate Affairs (‘MCA’) has notified certain key forms under Companies Act 2013 over last 6-8 months towards the objective of ‘Minimum Government Maximum Governance’ ideology of the Government of India. This bulletin seeks to give an overview of the said forms. · Purpose is to track sources of money & details of outstanding balances in a company. · Purpose is to eradicate money laundering by identifying true individual owners of a company, in case of complex layered structure. · Initiative to support MSMEs by ensuring timely & smooth flow of credit to them. Strengthening of legislative framework for delayed payments to MSMEs. Details of outstanding amount & reason for delay is required to be reported in the Form. · With the objective to arrest the financial scams that the nation has witnessed of late, MCA has rolled out the National Financial Reporting Authority Rules, 2018 (Rules). NFRA is a separate & independent regulatory body to assist in framing & enforcement of legislations relating to accounting &auditing, & thereby improving public confidence in financial reporting of an entity. · No need to file the form in case of no outstanding loans / money as on 22 January 2019. All companies who buy goods or avail services from MSMEs & whose payment to such suppliers have exceeded 45 days. 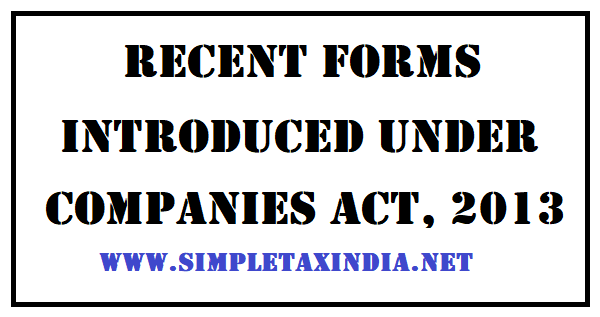 · Unlisted public Companies, which have Paid up Capital of Rs. 500 Crore or More; or Turnover of Rs. 1000 Crore or More; or Aggregate of Outstanding Loan, Debentures &Deposit of Rs. 500 Crore or More.